The Himalayan Alpine Herbal and Agriculture Farm invite the volunteer on the herbal farm for interested students of agriculture and rural development to work in distant remote villages of Nepal and implement their skill and study. This volunteer opportunity is planned to promote herbs farming in remote villages of Nepal and implements the new ways of herbs farming to increase the productivity and enhance the current farming standards. The herbal farming opportunity is a platform where students, researchers, farmers, and herb consumers work together in the same farming land. The herbal farming volunteers will have the opportunity to work in the herb farming lands of Nepal and do the experiments as well as learning the herb farming techniques. The herbal farming volunteers will have the opportunity to experience, witness, learn and participate in the herb farming community of rural Nepal. The herbal farming volunteers will develop their skill in practical herbal farming techniques along with a close look at the traditional herbal farming methods. The herbal farming volunteers will have an opportunity to experience different sectors of herbal farming like herb plantation, herb disease control, organic herb farming, farm irrigation, herb disease control, and herb harvesting. The Himalayan Alpine Herbal and Agriculture Farm has the herbal farming volunteer opportunity open for all interested personalities around the world to learn and implement their project on herbal agriculture. 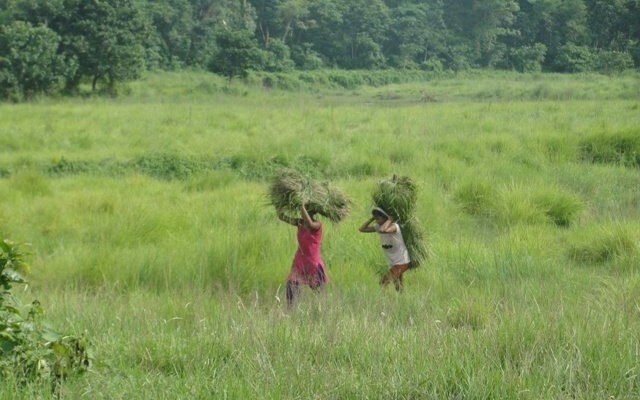 The herbal farming volunteers will be assisted by local farmers during their internship and are boarded on the herb farming land located in distant villages of Nepal.